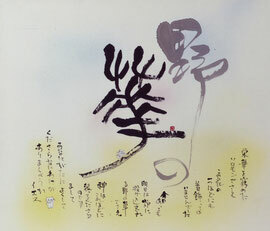 This Website introduces art works of Sekko Hamauzu. She has been active internationally as an artist in the world of Japanese calligraphy (Shodo), artistic writing of Japanese language. Collaborated exhibitions with Hironoshin Yamada, a flower artist, are also introduced. Please visit the "Gallery" and enjoy her works!